Now in Kremmling, Colorado where Rosie and I will soon bid Adieu to each other. ( She returns to West Virginia to teach nursing classes.) We have spent one restful week at a cabin she once owned outside Granby, CO. She has the good fortune to continue using it when it’s not occupied. Northwestern Colorado is magnificent, snow covered mountain peaks and wide open vista. We did short rides every day, keeping the horses in shape and just relaxing after the busy winter including the France trip. Am now winding the year of travel up. 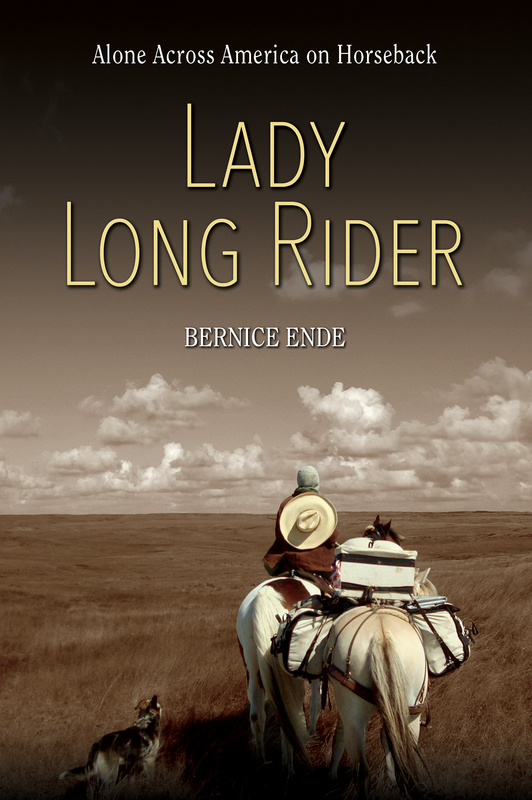 My book,”Lady Long Rider” is in its final stages and will be out, published by Far Country Press by the time I return to Trego, Montana. I will have signed copies available on the website. One last stretch remains, Steamboat Springs to Green River Wyoming, then over to Montpelier, Idaho and back into Montana. Three weeks, until then, Happy Trails. Bella, Rosie’s dog, resting inside the rustic, cool cabin. Rosie on Montana Spirit over looking Rocky Mountain Park. 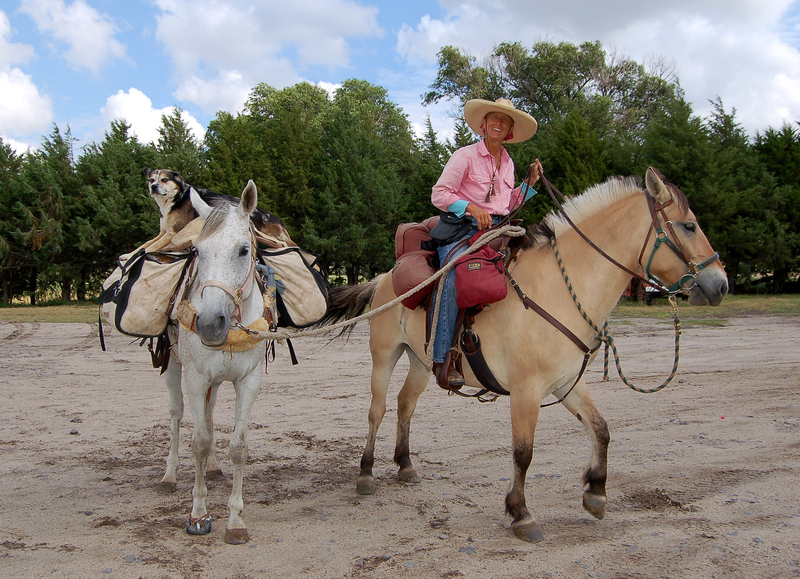 Me leading the horses down a VERY steep grade.